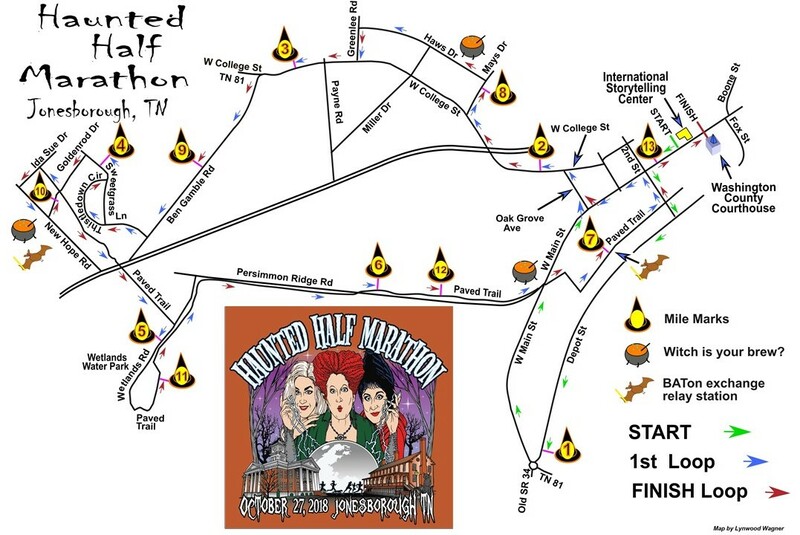 Course Description – This is a rolling course, starting and finishing in historic downtown Jonesborough. We will pass through several nice neighborhoods, traverse around Wetlands Park, and use the Lost State Scenic Walkway from the Meadows and Mill Creek Subdivision, over Persimmon Ridge, and back to downtown. The start loop is about 2 miles, then we do a double loop which is about 5.5 miles in length. 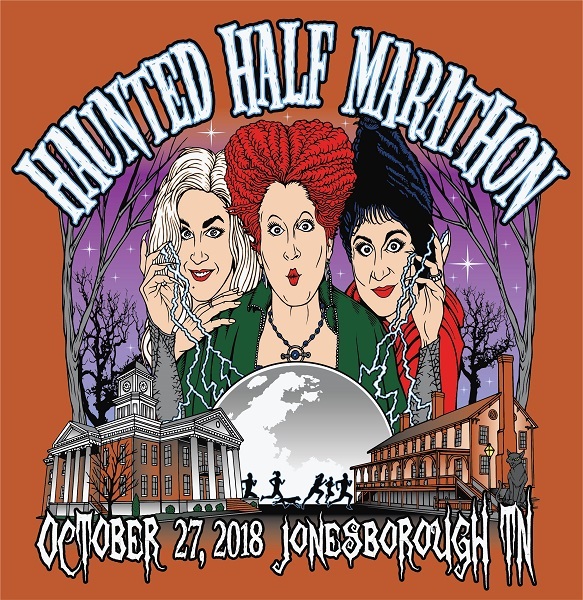 The entire course stays within the city limits of Jonesborough. The final 1+ miles is downhill to flat (yippee!). We think you will like it! 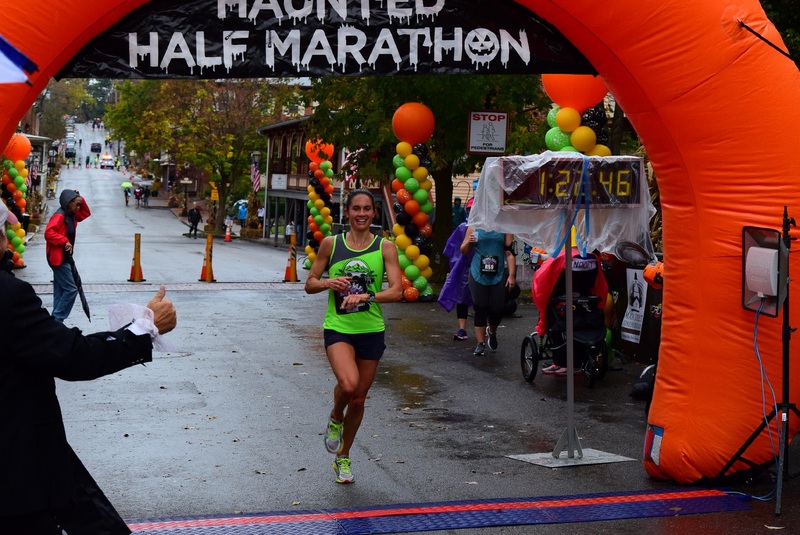 Haunted Half Marathon Course Preview with Hank Brown and Rose Van Huss. Jonesborough welcome from Melinda Copp, Main Street Director. Editing and graphics by Jake Van Huss.